Book online using our Driving Lesson Enquiry form, or search for your location and we can put you in touch with your local Driving Instructor. From your first time behind the wheel of a car to passing your test and beyond, Driving Lessons with Bill Plant Driving School give you the best platform on your journey to independent driving. To provisionally book your FREE* first-hour Driving Lesson with a local Bill Plant Driving School Instructor please complete the online booking form provided or call our Driving School Customer Services Team for more information. A Premium Nationwide Driving School. 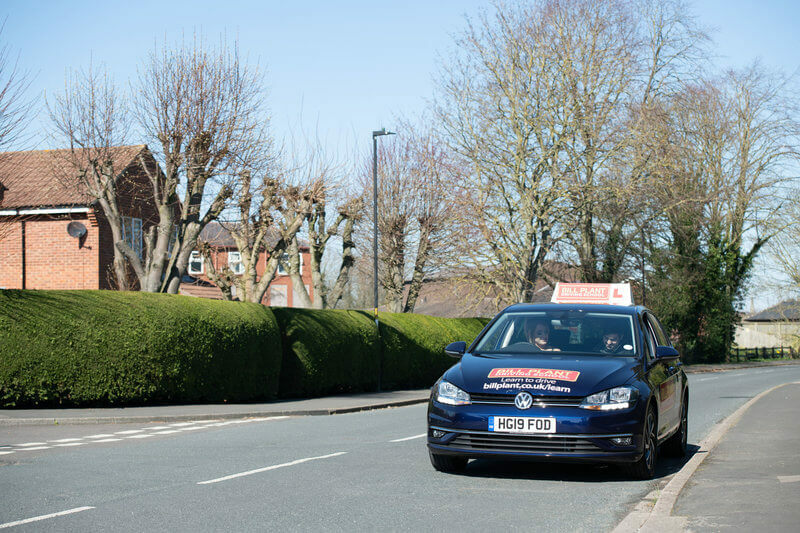 As a leading Driving School in the UK, we have helped hundreds of thousands of pupils pass their driving test since our inception. In a recent survey of Bill Plant Driving School learners – 96% of pupils said they would recommend Bill Plant Driving School to friends or family! High-Quality Tuition Vehicles. 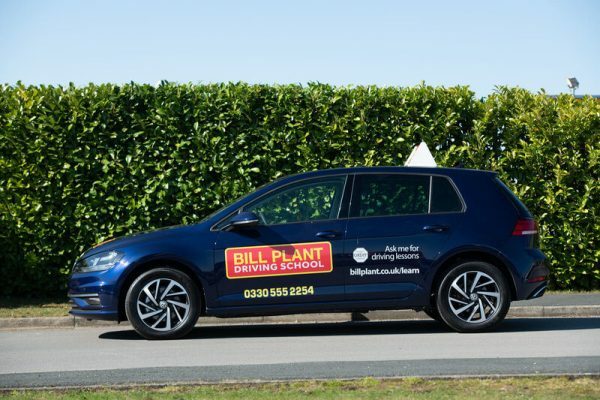 Every Driving Lesson with Bill Plant is taken in a brand new Volkswagen tuition vehicle which is regularly checked, maintained and replaced to ensure you are learning to drive in the style and comfort of a top-quality vehicle. Local Driving Instructors. We only provide Driving Instructors that are local to your area. Your instructor will know the best roads to teach you on and the local test routes to give you the best possible chance of passing your test. Instructors Manage Their Diaries. This allows you to arrange your lesson times directly with them. Flexible lesson times are available on evenings and weekends to suit your schedule. Market-Leading Learner Tools. Not only will you receive your instructor’s full support and guidance on lessons, but we also have free to use online training to help with your Theory Test and Hazard Perception ensuring you become a confident and safe driver for life. Bill Plant Driving School provide only expert Driving Instructors that are local to you. Your Driving Lessons will always be with a local instructor from your first lesson all the way through to Pass Plus Driving Lessons. Add your location to our search bar to find the closest Bill Plant Driving Instructor to you. A Bill Plant Driving Instructor will help guide you through your first driving lesson. Learning to drive can be a nervous experience for any learner driver with none more so than your first time behind the wheel. Our Instructors will show you all the controls of the car and how to move away to begin driving. For more information on your first driving lesson read through our handy guide. Since the introduction of Motorway Driving Lessons in 2018, Bill Plant Instructors have shown learner drivers how to safely and successfully add motorway driving to their abilities. Across the UK we have seen a dramatic increase in driver confidence and ability after taking to some of the busiest roads in the country, accompanied by an instructor. It has been suggested that adding motorways to driving lessons will aid in the long term lowering of insurance costs and help a driver’s confidence after passing their driving test. Intensive Lessons are the perfect solution for people who need to learn to drive in a shorter amount of time than it may normally take to be test ready. Intensive Courses are supplied in your local area with any Bill Plant Driving Instructor, the availability of lessons is subject to the instructor. Pass Plus Driving Lessons are a great way to develop your learning and ability to drive beyond simply passing your test. A pass plus course will enable you to grow in confidence through learning to drive on a variety of roads you may not have before passing your test.